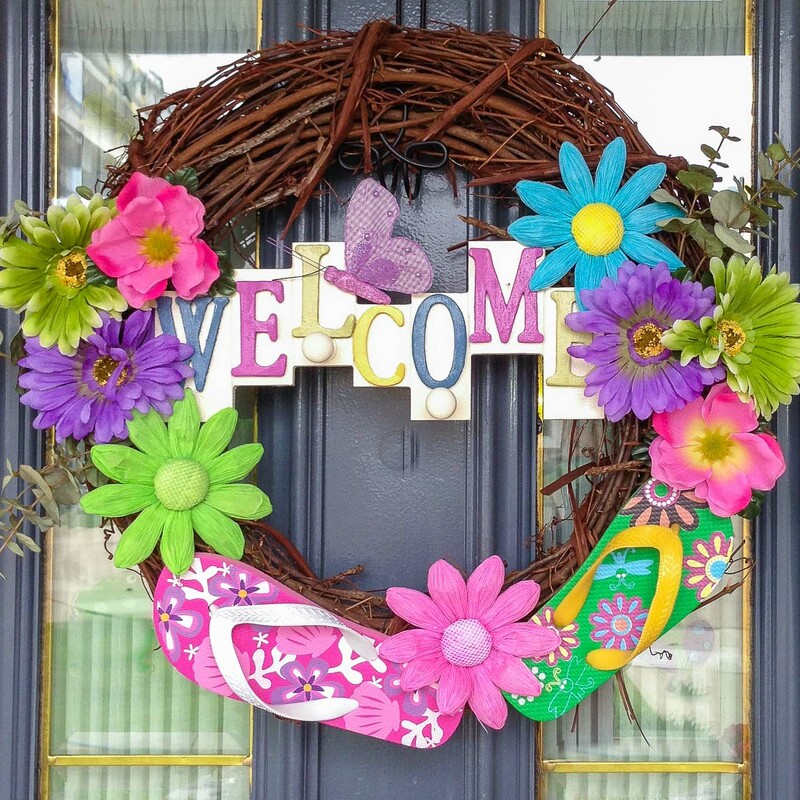 Decorate your front door with this easy to make front door Summer Sandal Wreath. 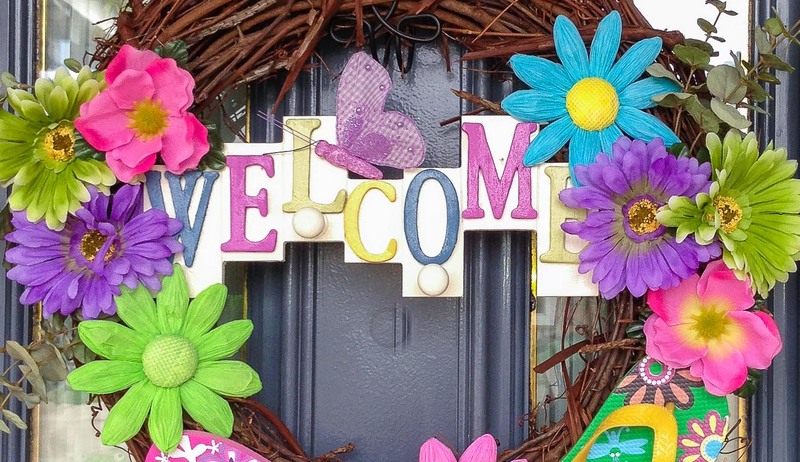 The summery touch of sandals, bright collection of artificial flowers and welcome sign were all purchased from the dollar store. I hand painted the sign to match the flowers and sandals. 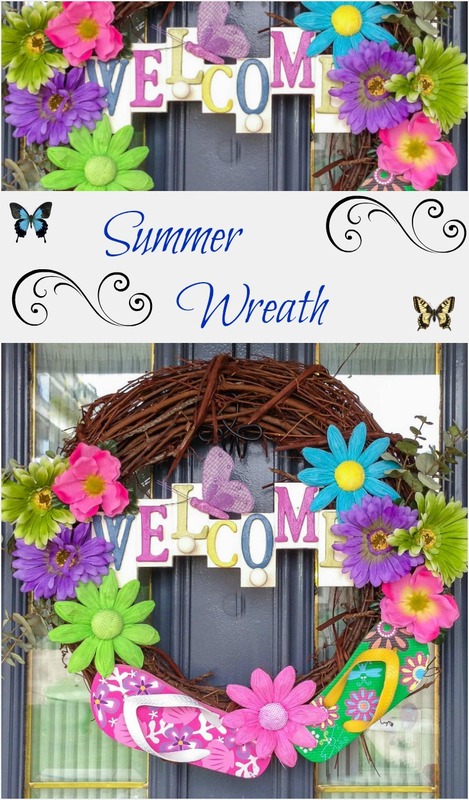 This colourful summer wreath was put together for under 20 dollars.